The second series of Paul Abbott‘s Channel 4 drama No Offence, has signed up the director of Deutschland 83 – Samira Radsi. The German director will direct her first British drama project, when she takes the helm for the fifth episode of series 2 – which begins shooting from the 1 August 2016. Other directors working on the second series are Catherine Morshead (episodes 1 & 2), Sarah O’Gorman (currently on her final week of filming episodes 3 & 4). A fourth director is yet to be announced. 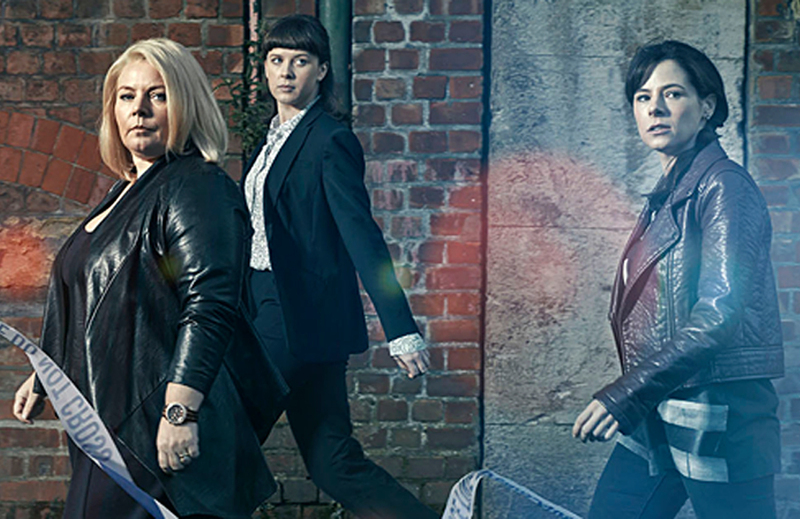 The seven-part series features an unorthodox crack team of cops, headed up by DI Viv Deering, played by Joanna Scanlan (Bridget Jones Baby). Other regular cast includes: Elaine Cassidy, Alexandra Roach, Will Mellor, Paul Ritter, Tom Varey, Neet Mohan, Ste Johnston, Kate O’Flynn and Saira Choudhry. Joining the cast is, Sarah Solemani, Rakie Ayola, Conor MacNeill, Zachary Momoh, Charlie May-Clarke, Jody Latham, Patrick Bergin, Keith Dunphy, Orla O’Rourke, Chook Sibtain, Kieran O’Brien and Zac Sutcliffe. No Offence is written and created by Paul Abbott, and produced by his company AbbottVision. Filmed on location in Manchester, No Offence will air in October 2016 on Channel 4.